Lindsay Lohan was spotted yesterday (18th January) doing some shopping at the Alice & Olivia store. Lindsay was wearing a necklace from Nicole Richie's jewelry collection House of Harlow 1960. 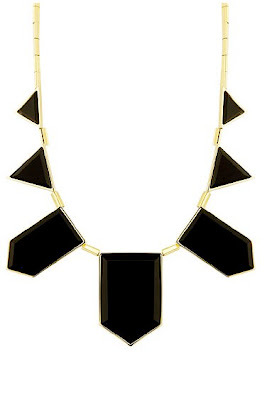 Lindsay Lohan wore the popular black and gold House of Harlow 1960 resin necklace. It's great to see Lindsay Lohan joining the list of celebs who love to wear House of Harlow 1960.